This past week, two professionals known around the world for expertise in their fields, decided to end their lives. Kate Spade, the famous designer, and Anthony Bourdain, a chef and television celebrity, were hugely successful, wealthy, and loved by fans. We cannot know and judge the state of their mind when they acted as they did, but we realize that what the public sees and imagines does not always correspond to reality. The same dissonance may be applied to Christians, whose practice of the faith can fail to measure up to the image of faithfulness they present. This hypocrisy we examined last week as we reflected on Blessed John Henry Newman’s “Profession Without Practice.” We turn to Newman’s sermon again to discover how widespread hypocrisy is and how we can break free of it. We can add a few more questions to our self-examination. Newman says Jesus warns his disciples of hypocrisy in three areas: in giving alms, praying, and fasting. 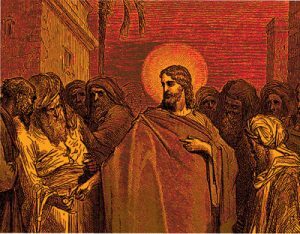 In giving alms, do we give privately or publicly? Do we think first of public giving and second of private giving? In prayer, “are we as regular in praying in our closet to our Father which is in secret, as in public? Do we feel any great remorse in omitting our morning and evening prayers, in saying them hastily and irreverently? And yet should not we feel excessive pain and shame, and rightly, at the thought of having committed any open impropriety in church?” Is this greater concern over public shame not indicative of hypocrisy? Finally, our Lord tells us what our manner of fasting should look like – that we should not make a big show of it, or look to receive praise from others for our sacrifices. But first we must ask, do we fast? This is the first step of obedience to our Lord. 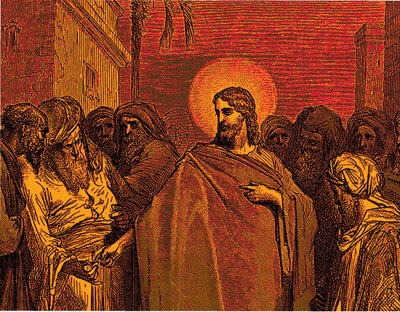 And if fasting were honorable as it was in Jesus’ day, would we look any different from the Pharisees? So often as our Lord teaches us, truth is the remedy. If we have examined ourselves and find we are lacking, then hypocrisy’s grip on us has loosened as our self-deception recedes. It is not too late to come to our Lord in the way He asks us to come to Him, as little children who must confess to their Father all they have done. We will find ourselves in the grip of his mercy if we do. These two reflections really made me think and consider the sin of hypocrisy in a way I hadn’t before. The example of how the outside world views famous figures compared to the reality of their inner lives really struck me … an excellent explication of this subtle sin that we can all fall into if we aren’t vigilant. Very nuanced and well written! Robert, thank you for your interest on the website. We will sign you up. Usually we post a blog on Saturday mornings. Thank you, and happy feast day of the Queenship of Mary!